In the 1960s, the Boeing 727 had become the best-selling jetliner produced to date, becoming the first passenger jet to surpass 1,000 units in sales. The 727 was a trijet narrow-body airliner which operated short- to medium-routes, and had found particular success in the U.S. domestic airline market. By the 1970s, Boeing was considering plans to improve on the design of its most popular 727 variant, the 189-seat 727-200. Two approaches were considered: a stretched 727-300, and a new development study, code-named 7N7. Along with a parallel development effort code-named 7X7, these studies aimed to take advantage of new materials and propulsion advances in the civil aerospace industry. The 7N7 was planned as a narrow-body twinjet, while the 7X7, which eventually became the 767, was planned as a mid-size wide-body airliner. The 727-300 never received enough interest from the airlines to proceed, as the 7N7 came to the forefront of 727 replacement considerations. Airlines were particularly interested in the new engine technology, reduced weight, improved aerodynamics, and reduced operating cost promised by the 7N7 concept. In 1978, Boeing's 7N7 studies concentrated on two variants: a 7N7-100 with seating for 160, and a 7N7-200 with capacity for over 180 seats. The 7N7 studies retained the T-tail configuration of the 727 along with its single-aisle, narrow-body layout, while adding an advanced aft-loaded wing and new engines. The narrow-body configuration was touted as offering the lowest fuel burn per passenger-kilometer of any jetliner. On August 31, 1978, the 7N7 received its first airline commitments when British Airways and Eastern Air Lines announced launch orders totaling 40 aircraft for the -200 version. These orders were formally signed in March 1979, at which time Boeing formally designated its new twinjet as the 757. The shorter -100 development, which failed to attract any orders, was dropped, with its role eventually taken by the 737-300 and 737-400. Initially, the 757's design retained the 727 forward fuselage and flight deck, but as the development effort progressed, the 757 moved away from shared 727 elements and incorporated more advanced structural features and systems. The 727's T-tail configuration was used for much of the 757's development, combined with under-wing engines, but a conventional tail was ultimately adopted one year after the first airline orders. The conventional tail allowed more passengers to be carried without lengthening the fuselage. The 757 would ultimately retain the same upper-fuselage diameter as the previous 707, 727, and 737, but its nose and cockpit section came to share design elements with the 767. The emphasis on design commonality with the 767 arose due to its concurrent design period, shared twinjet layout, and similar systems plans. The 757 and 767 were ultimately designed to share common flight decks and handling characteristics. Similarly configured systems, shared instrumentation, avionics, and flight management systems as the 767 were applied on the 757. Due to their shared design, after a short conversion course, pilots rated in the 757 were also qualified to fly the 767 and vice versa. The 757 wing's aft-loaded design produced lift across the majority of the upper wing, instead of a narrow band as in previous designs. The wing was more efficient than the preceding 727's, with less drag and greater fuel capacity, and its improved lift performance necessitated an extensive set of flaps, slats and spoilers to slow the aircraft from cruise to landing speeds. British Airways and Rolls-Royce initially lobbied the British aircraft industry to build 757 wings, but this did not occur. 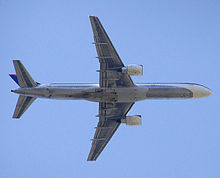 Increases in the 757 design's maximum take-off weight (MTOW) allowed the 757 to better perform in hot and high climates. The 757 was the first Boeing airliner launched with engines produced outside the United States, with early customers selecting the Rolls-Royce RB211-535C. Pratt & Whitney soon offered the PW2000, launched by Delta Air Lines. General Electric offered an engine option early in the program, the CF6-32, but eventually abandoned the engine due to insufficient demand. The RB211-535E4 soon replaced the 535C as the default Rolls Royce engine on the 757. With the -100 variant attracting little interest, the primary 757 design offered to customers consisted of the -200 model, with the choice of engine manufacturer, and either regular or longer-range fuel capacity. The first Boeing 757 was rolled out at Boeing's Renton, Washington facility on January 13, 1982, and completed its maiden flight on February 19 of that year. The prototype 757-200 was equipped with Rolls-Royce RB211 engines, marking the first time that a foreign engine was used on a Boeing debut model. Five aircraft were used for the flight-test program, which took place over seven months for a total of 1,250 flying hours. Following testing and certification, the first 757 was delivered to launch customer Eastern Air Lines on December 22, 1982, approximately four months after the first 767 deliveries. Picture - Delta Air Lines placed its first 757-200 order in 1980 for 60 aircraft, and would go on to have the largest 757 fleet. Eastern Air Lines put the 757 into commercial service on January 1, 1983, followed by British Airways on February 9, 1983. 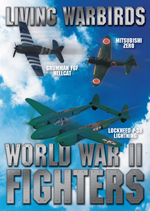 First-year deliveries were also made to Air Europe and Monarch Airlines. The 757's service entry was relatively smooth, with greater reliability than prior jetliners and quieter airport operational performance. Early 757 pilots underwent training to transition to the aircraft's two-person cockpit with new instrument displays. Eastern Air Lines, the first 727 operator to take delivery of 757s, found that the aircraft demonstrated greater payload capability than its predecessor with reduced fuel burn and fewer crew requirements. Through the 1980s, the 757-200 became commonly used in America and Europe, with some mainline U.S. carriers purchasing the aircraft to replace their 727 fleets. Major operators included Delta Air Lines and American Airlines, with both carriers ultimately purchasing over 100 757s each. The 757 became used on heavy domestic routes and high-frequency shuttle flights in the United States and Europe. The RB211-535E4 powered 757 was the only model approved by the Federal Aviation Administration (FAA) for Extended-range Twin-engine Operational Performance Standards (ETOPS) operations over the North Atlantic, allowing the aircraft to be deployed on transatlantic routes between North America and Europe. In addition to mainline carriers, the 757 found use by holiday and charter airlines, mainly in Europe. In Asia, China became the largest market for the 757, following the first sale to CAAC in 1987. International aircraft leasing corporations were also major customers for the 757. In the late 1990s, Boeing was considering possible variants of the 757, which for 18 years had been the only Boeing narrow-body jet not to receive a stretched variant. Rumors of a long-range -200X and stretched -300X circulated at the time, but no formal announcements had been made. European charter carriers were particularly interested in an expanded capacity version of the 757, which would allow the aircraft to take better advantage of its range. In 1996, Boeing finally announced the stretched 757-300 program at the Farnborough air show. The program was intended to be the shortest development program in Boeing history, with 27 months targeted between launch and certification. 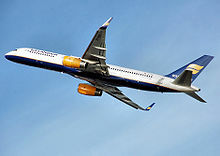 The 757-300 was launched with an order for 12 aircraft from Condor Airlines, the charter carrier. In addition to meeting the needs of charter customers, the increased capacity 757 allowed Boeing to match the passenger lift capabilities of the 767-200, and counter longer-range versions of the Airbus A321. The first 757-300 was rolled out on May 31, 1998, and completed its maiden flight on August 2, 1998. Following regulatory certification in January 1999, the aircraft entered service with Condor on March 19, 1999. However, sales for the 757-300 remained slow, and ultimately totaled 55 aircraft. Picture - A Jet2.com 757-200. The 757-200 has been popular with several budget airlines. 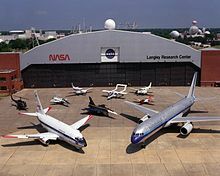 While the 757 program was a resounding financial success, sales dwindled during in late 1990s to early 2000s, eventually forcing Boeing to cease production. The 1,050th and last 757, destined for Shanghai Airlines, rolled off the production line at Renton on October 28, 2004 and was delivered to the customer in April, 2005 after several months of storage. The majority of 757s remain in service, with U.S. carriers the primary operators (64% of aircraft in service at July 2007). The 757 is the only type of aircraft currently used by all five U.S. "legacy" airlines, with Delta Air Lines, American Airlines, United Airlines, Continental Airlines, US Airways, America West Airlines (now a part of the US Airways Group), and Northwest Airlines (now a part of Delta Air Lines) operating large 757 fleets. In the short term, the 757-200 has been succeeded by the 737-900ER, touted by Boeing as filling in the range and capacity gap previously filled by the former aircraft. In the long term, the 757 is to be succeeded by the Y1. Variants of the Boeing 787 may also take on the 757's routes. Targeted as a replacement for the 727, the 757 was designed for improved capabilities and efficiency over preceding aircraft. Along with the concurrently designed 767, the 757 incorporated new Rockwell Collins cathode-ray tube (CRT) displays, replacing conventional electromechanical instruments, and an enhanced flight management system, improved over versions used on existing 747 models. The 757-200 could be ordered with either four exit doors on each side, or three exit doors plus four overwing window exit doors. In contrast with the 727's escape slides, the 757's main exits featured combination slide rafts similar to those found on the 747. On the 757-300, the -200's exit door options were combined for four exit doors with four overwing window exits. Picture - Planform view of Delta Air Lines 757-200 after take off, with retracted landing gear and partially deployed flaps. The Boeing 757 is a low-wing cantilever monoplane with a conventional tail unit with a single fin and rudder. It has two main landing gear with four wheels each and one forward nose gear with two wheels. The wing is swept at 25�, and the aircraft optimized for a cruising speed of Mach 0.8. The use of composite materials for wing panels and other airframe sections reduced the 757-200's overall weight by 2,000 lb (910 kg). For purposes of air traffic control spacing, the FAA requires greater separation behind a 757 than other large category aircraft because of the aircraft's tendency to produce strong wake turbulence. The 757-200 was the first jetliner to offer carbon brakes as a factory option, supplied by Dunlop. For the 757-300, due to the aircraft's added length, the aft fuselage is equipped with a retractable tail skid. The 757-200 cockpit design, shared with the 767, uses six Rockwell Collins CRT screens to display electronic flight instrumentation. The displays are used for electronic flight instrumentation system (EFIS) and engine indication and crew alerting system (EICAS) information, taking over the former role of the flight engineer. The inertial reference system (IRS) introduced on the 757 featured laser-light gyros. To maximize commonality with the 767, the 757 cockpit windows and floor height were deliberately calibrated to provide similar pilot viewing angles. For the 757-300, the flight deck was upgraded with the addition of a Honeywell Pegasus flight management computer and enhanced EICAS and other software systems. Increased fuel prices have put pressure on airlines to improve the average fuel efficiency of their fleets. American Airlines' 757-200 aircraft each burned US$4,153 of jet fuel to fly from St. Louis to San Francisco in 2004; in 2008, the same quantity of fuel cost US$14,676. One way to improve the efficiency of an airplane is to reduce lift-induced drag by installing winglets. Although production of the aircraft has ceased, blended winglets are available from Aviation Partners Inc. as a retrofit to increase fuel efficiency and range. Aviation Partners claims improvements of 5% on fuel efficiency and 200 nautical miles (370 km) on range. Winglets on the 757 have been approved for the 757-200 series as 757-200WL (757-200WingLets), and for the -300 series. Continental Airlines received the first modified -300 with winglets on February 3, 2009. The 757 interior offers up to a six abreast layout (3-3) with a single center aisle. The 757-200 introduced an interior that became standard on all narrow-body Boeing aircraft (including the Boeing 737 Classics) until the release of the Next Generation 737, which introduced an updated interior borrowing elements from the Boeing 777-style interior. Optimized for flights averaging two hours in length, the original 757-200 interior debuted lighting and cabin architecture designs aimed at a more spacious impression. As on the 767, the 757 featured garment bag length overhead bins and an aft located economy galley. The bins had twice the capacity as those on the preceding 727. To save weight, the 757 along with the 767 used crushed honeycomb for paneling and bins. For the 757-300, the interior was derived from the Next Generation 737 and 777, with sculptured ceiling panels, indirect lighting, and larger overhead bins with an optional continuous handrail built into their base for the entire cabin length. The 757-300 also featured centerline storage containers mounted in the aisle ceiling for escape rafts and other emergency equipment. The 757-200 is the definitive version and forms the majority of 757s sold. It shares its fuselage cross section with the smaller 727 and 737. Boeing positioned the plane above the 737 and as an eventual replacement for the 727. During development, the 757-200 was originally meant to be a little shorter in length. In the end it was positioned not only above the 737, but also the 727. This variant can carry 228 passengers in a single class. However, with a seat pitch of 29 inches it can carry a maximum of 234 passengers. This configuration is the FAA limit for the aircraft due to emergency exit rules. Other versions such as a 757-200ER were proposed, but never launched. Improvements such as winglets are offered for those upgrading their fleets. These enhanced 757-200s are sometimes referred to as 757-200ER aircraft. Total production was 914 Boeing 757-200, 80 -200PF, and 1 -200M aircraft. In July 2010, 890 Boeing 757-200 aircraft (all -200 variants) were in airline service with operators Delta Air Lines (180), American Airlines (124), United Airlines (96), UPS Airlines (75), Continental Airlines (41), FedEx Express (38), US Airways (25), Thomson Airways (27), DHL Air (22), China Southern Airlines (17), and other airlines with fewer aircraft. The 757-200PF is a cargo variety of the 757-200 that proved to be a popular model after it was launched in 1985 and with deliveries beginning in 1987 to UPS. The basic Maximum Takeoff Weight (MTOW) of the 757PF is 250,000 pounds (113,400 kg), with an option for 255,000 pounds (115,600 kg). Other customers for the 757-200PF (Package Freighter) were Ethiopian Airlines and Challenge Air Cargo. The 757PF has no passenger windows or interior amenities. A large main-deck cargo door is installed in the forward area of the fuselage on the left-hand side. All other escape doors are omitted. The flight crew boards the aircraft through a single entry door installed immediately aft of the flight deck on the left side of the aircraft. The interior of the main-deck fuselage has a smooth fiberglass lining. A fixed rigid barrier installed in the front end of the main deck serves as a restraint wall between the cargo and the flight deck. A sliding door in the barrier permits access from the flight deck to the cargo area. Up to 15 containers or pallets, each measuring 88 by 125 inches (223 by 317 centimeters) at the base, can be accommodated on the main deck of the 757PF. Total main-deck container volume is 6,600 cubic feet (187 m�) and the two lower holds of the airplane provide 1,830 cubic feet (51.8 m�) for bulk loading. These provide a combined maximum revenue payload capability of 87,700 pounds (39,780 kg) including container weight. When carrying the maximum load, the 757PF has a range of about 2,900 nautical miles (5,371 km). Many former passenger 757-200s have been converted into the 757-200SF (Special Freighter) configuration, mainly for DHL. This conversion involves adding a cargo door on the left forward fuselage (identical to the 757-200PF), and removing all passenger amenities. All but the two forward cabin doors are sealed shut, and cabin windows are deleted, except for horse charter configuration where the two aft doors can be re-activated and three pairs of windows are left at the tail. In September 2006, FedEx Express launched a US $2.6 billion fleet renewal initiative based on retiring its Boeing 727 aircraft and acquiring second-hand Boeing 757s. Converted 757s are expected to enter service between 2008 and 2016. The 757-200M was launched for Royal Nepal Airlines in 1986. It is a convertible version where the seats can be removed in order to place cargo on the main deck. Nepal needed a plane that could operate from high altitude airfields, and having low passenger traffic, also needed a plane that could be converted to a freighter. Boeing saw this as an opportunity to showcase its 757. 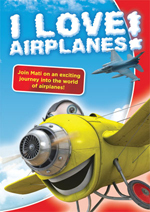 The 737 and 747 convertibles had proved popular and saw a market potential for the 757-200M. Only one example was ever ordered, delivered in 1988 to Royal Nepal (later renamed Nepal Airlines) who currently operate it. A conversion program offered by Pemco modifies 757-200s into 757 Combi aircraft, in which some of the passenger cabin is replaced with a cargo storage area. As of October 2010, the fourth 757-200 had begun conversion. The 757-300 is a 23.4 ft (7.1 m) stretched version of the -200, that first flew in August 1998. It is the longest single-aisle twinjet ever built. The 757-300 has the capacity to seat 289 passengers in a 29-inch (740 mm) pitch one class cabin, though the highest configuration in airline service is 280 seats, as operated by Thomas Cook Airlines. The fuel capacity was not increased and therefore the range was reduced to 3,395 nmi (6,287 km). 55 were ordered and delivered. This 757-300 has 8 standard doors, with 4 over-the-wing exit doors, 2 on either side. This model also features the interior of the Boeing 737 Next Generation, which blends aspects of the 757-200 interior with the Boeing 777-style interior. It has proved popular with charter airlines for its efficiency and dense capacity. For Boeing to have increased the fuel capacity, it had to strengthen the undercarriage and other areas to increase the MTOW. The 757-300 series was available for purchase with four engine options: either 43,100 lbf (191.7 kN) Rolls Royce RB-211-535E4-B turbofans, 43,850 lbf (195.1 kN) Pratt & Whitney PW-2043 turbofans and older versions known from 757-200 series, PW2037 and PW2040. Only Northwest Airlines ordered the 757-300 with Pratt & Whitney engines. Boeing decided against further investment in the 757 family and focused efforts on the 737 Next Generation series (specifically the 737-900ER which Boeing believes will be a suitable 757-200 replacement for most passenger applications) and the Boeing 787 Dreamliner, which Boeing believes, in smaller versions, will substitute for larger versions of the 757 family. In July 2009, there were 55 Boeing 757-300 aircraft in airline service with Continental Airlines (21), Delta Air Lines (16), Condor Airlines (13), Arkia Israel Airlines (2), Thomas Cook Airlines (2) and Icelandair (1). Picture - The C-32, a variant of the 757, is the usual transportation for the Vice President of the United States. The 757 has also found itself in private and government service. The United States Air Force has fitted four 757-200s for VIP transport duties (C-32A). These are painted in the standard blue and white paint scheme used by the USAF for its VIP transport aircraft. These aircraft are often used to transport the Vice President of the United States under the callsign "Air Force Two". The USAF also operates two 757-200 aircraft (C-32B) for use by the U.S. State Department Foreign Emergency Support Team. These aircraft are painted solid white with only a small American flag and the USAF serial number on the fuselage. A 757 was used as a testbed for F-22 avionics and sensor integration. The modified 757 has a forward canard with sensors to simulate the F-22's wing sensor layout above the 757's cockpit and a forward F-22 fuselage with the radar and systems. 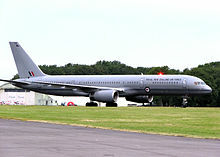 The Royal New Zealand Air Force have two 757s converted to 200M standard that are used for transporting equipment, medi-vac, troops and VIPs. A more powerful APU and retractable airstairs are also fitted. A 757 is serving as the Presidential aircraft in Argentina, with the military serial Tango 01, and another provides VIP and Presidential transport in Mexico TP01 (Transporte Presidencial 1). A Boeing 757 is also used by the royal family of Saudi Arabia as a flying hospital. Senator John Kerry chartered a 757-200 from TransMeridian Airlines nicknamed Freedom Bird as his campaign jet during the 2004 U.S. presidential election. British Heavy Metal band Iron Maiden have chartered and customized a 757 for their Somewhere Back in Time World Tour, of which singer Bruce Dickinson was the pilot. Delta Air Lines and American Airlines are the first and second largest customers of the type, respectively. Prior to July 2007, American Airlines was the largest operator, operating a total of 141 757s. American Airlines has retired their 757 fleet that was inherited via American's buyout of TWA, due to the fact that they use Pratt & Whitney engines rather than Rolls-Royce like most of American's 757s. 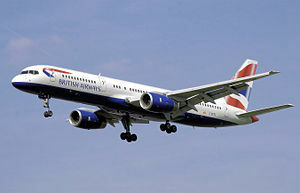 As joint launch customer, British Airways operated the 757 for longer than any other operator, but retired their last 3 aircraft in November 2010, whereupon Monarch Airlines took over this title. British Airways unveiled one of its last 757s (G-CPET) in a special 'retro' livery on 4th Oct 2010, to match the colour scheme that it introduced the 757 into service with in 1983, to celebrate the fleet's retirement after 27 years. In total, over 1,000 units of the Boeing 757 have been ordered and built. Data through end of December 2010, with production completed. As of August 2009, the Boeing 757 has been involved in 22 incidents, including 8 hull-loss accidents, resulting in a total of 700 fatalities (including 125 fatalities on ground due to terrorist hijacking and subsequent crash in the September 11, 2001 attacks). The first fatal event involving the 757 occurred on October 2, 1990 when a Xiamen Airlines 737 was hijacked and collided with China Southern Airlines 757 on the runways of Guangzhou Baiyun International Airport, China, killing 46 of the 110 passengers and 12 crew members on board. Two 757s were hijacked on September 11, 2001 and crashed with no survivors, namely United Airlines Flight 93 with 44 on board near Shanksville, Pennsylvania, and American Airlines Flight 77, with 64 on board and 125 lost on the ground at the Pentagon, Arlington, Virginia. Accidents involving human error include American Airlines Flight 965 on December 20, 1995, which crashed into a mountain in Buga, Colombia killing 151 passengers and 8 crew members with four survivors, and the mid-air collision of DHL Flight 611 near x�berlingen, Baden-Wx�rttemberg, Germany on July 1, 2002, with the loss of two on board plus 69 on a Tupolev Tu-154. AA Flight 965 was blamed on navigational errors by the crew, while DHL Flight 611 involved air traffic control errors. Accidents attributed to instrument obstruction during aircraft storage, leading to subsequent crew disorientation include Birgenair Flight 301 on February 6, 1996 in Puerto Plata, Dominican Republic, with the loss of all 189 passengers and crew, and Aeroperx� Flight 603 on October 2, 1996 off the coast of Pasamayo, Peru, with the loss of all 70 on board. Two 757 incidents were survived by all on board. Britannia Airways Flight 226A crash landed on September 14, 1999 near Girona-Costa Brava Airport, Spain with no fatalities. On October 25, 2010 American Airlines Flight 1640, a 757-200 flying between Miami and Boston, United States, suffered the loss of a two-foot section of the plane's fuselage which tore away at approximately 31,000 feet. The plane safely returned to Miami. Birtles, Philip (2001). Boeing 757. Osceola, Wis.: MBI Pub.. ISBN 978-0-7603-1123-3. Norris, Guy and Mark Wagner (1999). Modern Boeing Jetliners. Zenith Imprint. 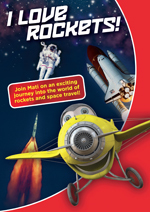 ISBN 0-7603-0717. Yenne, Bill (2005). The Story of the Boeing Company. St. Paul, Minn.: Zenith. 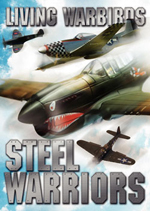 ISBN 978-0-7603-2333-5.